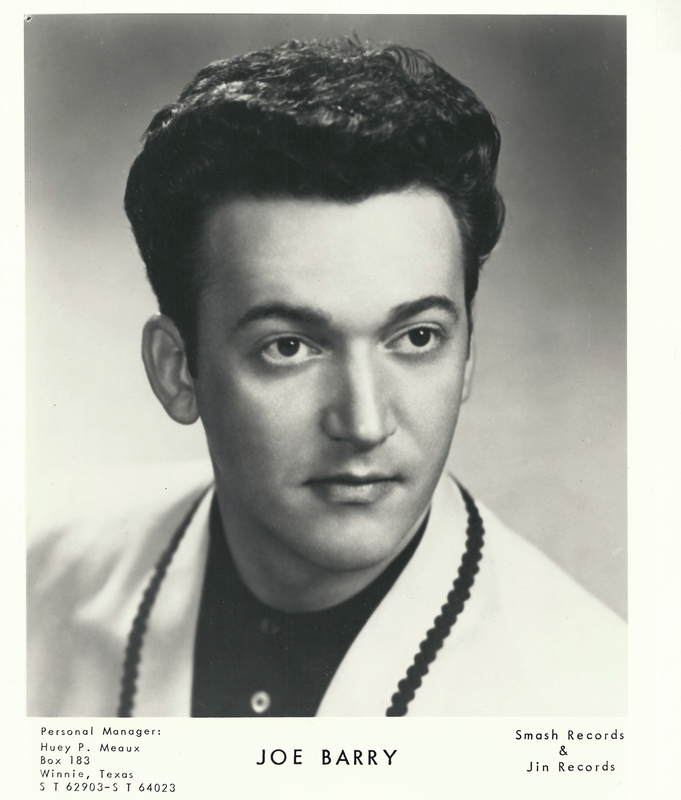 The Unsung Pioneer Of Louisiana Swamp-Pop In the early 1960s, Joe Barry combined Cajun and country music into a whole new sound. In honor of a new anthology of Barry's music titled A Fool to Care, critic Ed Ward tells the forgotten musician's story. 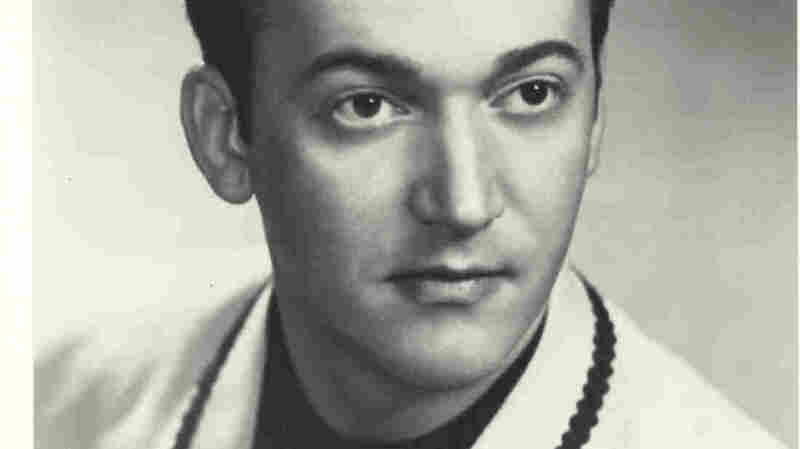 Joe Barry was a pioneer of "swamp-pop" in the early 1960s. Southern Louisiana in the early 1960s was a hotbed of musical creativity among youngsters who'd been raised listening to French-language country music and Fats Domino. They combined those — and other — influences to make what's now called "swamp pop." Joe Barry was a pioneer in this area who should have been much bigger. Joseph Barrios Jr. was born in the aptly named town of Cut Off, La., in 1939, and almost immediately started fooling around with a guitar that was in the house. At 15, he heard a Ray Charles song, "Come Back Baby," and decided he'd found his hero, so he formed a band called the Dukes and started playing bars. When local hero Joe Carl stole the band from under him in 1960, Barrios, who by now was using the name Joe Barry, formed another one, the Del-Phis. Hearing that there was a studio in Ville Platte that would record them, they headed up there. The next thing they knew, they'd recorded two songs and were getting local airplay. Floyd Soileau, whose studio they'd used, had been recording Cajun and Cajun country records for a decade, but also had a rock label, Jin, reserved for people like Joe Barry. "Heartbroken Love" got a lot of airplay, but didn't sell a lot of records, so Barry had to be very persuasive before Soileau agreed to let him make a second one. For this, they went to a bigger studio: Cosimo Matassa's in New Orleans. Barry had been perfecting a song he'd written — "I Got a Feeling," a kind of tribute to Ray Charles — and he put everything he had into it. They needed another side, though, so their bassist suggested an old Les Paul and Mary Ford song, which they banged out quickly. Floyd Soileau knew he had a hit, so he called on a friend of his, Huey Meaux, who lived in the East Texas rice-growing town of Winnie and had had some luck leasing records to national labels, notably Mercury. By early 1961, "I'm a Fool to Care" was working its way from a regional to a national phenomenon on Mercury's Smash subsidiary, and Joe Barry and the Vikings, his latest band, were on the road. That summer, he released a follow-up. "Teardrops in My Heart" didn't do as well, and the two that followed didn't even do that well. Joe Barry didn't care: He was busy living his legend, destroying hotel rooms, shooting televisions or throwing them in the pool. By the end of 1961, Floyd Soileau wanted nothing to do with him. Huey Meaux stuck with him, though, recording him in New Orleans with the Vikings augmented by Mac Rebennack (a.k.a. Dr. John) on guitar or piano. On one occasion, Meaux released a Joe Barry record under the name "Roosevelt Jones," a common pseudonym for a white artist trying to sell to black audiences. It was Barry's ultimate Ray Charles tribute, but it, too, went nowhere. By 1964, though, Meaux had bailed Barry out of jail one time too many, and he also had a fight with Cosimo Matassa and stopped using his studio. Joe Barry went back to Cut Off and worked in the oil fields, trying to lose his drug and alcohol problems. A couple of comeback attempts failed, and eventually he found religion and became a preacher. By 1977, music was the last thing on Joe Barry's mind, but a phone call from Huey Meaux changed that. Meaux had had his own troubles, and had come back with a left-field hit written by an elderly friend of his — and sung half in Spanish and half in English by Freddy Fender, another long-time veteran of the Texas-Louisiana bar scene. The label, Dot Records, thought Meaux was a genius and asked him if he knew any other artists like that. "I always look for a voice," Meaux told me at the time. "If I can find the voice, the song's no problem." Dot eagerly signed Barry after Meaux twisted his arm some to get him into the studio, and the album that resulted is a forgotten gem. Right as Joe Barry's comeback album was released, the record company went into turmoil and fell apart. Meaux bought the tapes back and put it out himself, but he had no better luck. Barry went back to his ministry, and his health began to fail. He recorded a gospel album, and then a pop album for an independent label that finally came out in 2003, but by then he was far too sick to promote it. He died in Cut Off, where his story began, in August 2004.